On February 7 at the Dernier Bar Avant la Fin du Monde in Paris, France, EA and Geek-Art will be putting on a show to promote Dead Space 3. Because when I think co-op space shooting in the dark, I think of Paris, and paintings. For those of us nowhere near the city of love, you'll be able to buy prints from Geek-Art's online store. 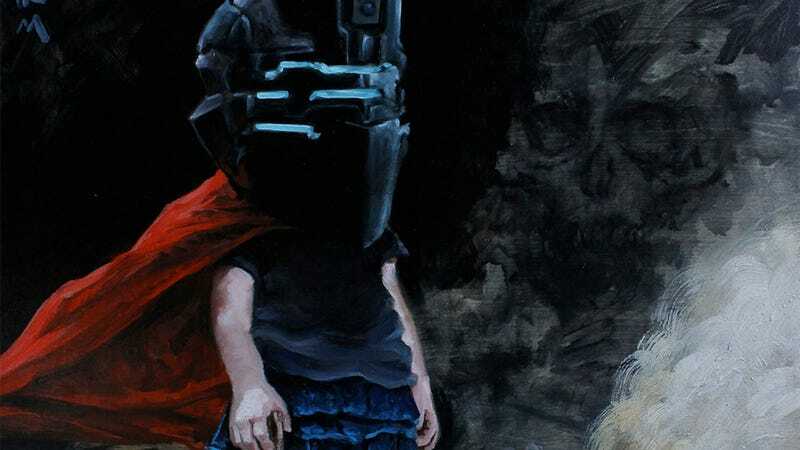 One of the pieces up for viewing (and sale) is Caroline, by Aussie artist Benjamin Guy, who you may recognise from his other large paintings featuring small children wearing giant pop culture helmets.